Posted November 27, 2018 by Fiona Greenfield & filed under Funding. The Prince Philip Trust Fund is supporting relationship counselling for local couples and families with a £1,000 grant towards providing a counselling room in Windsor for Relate Mid Thames and Buckinghamshire (Relate MTB). 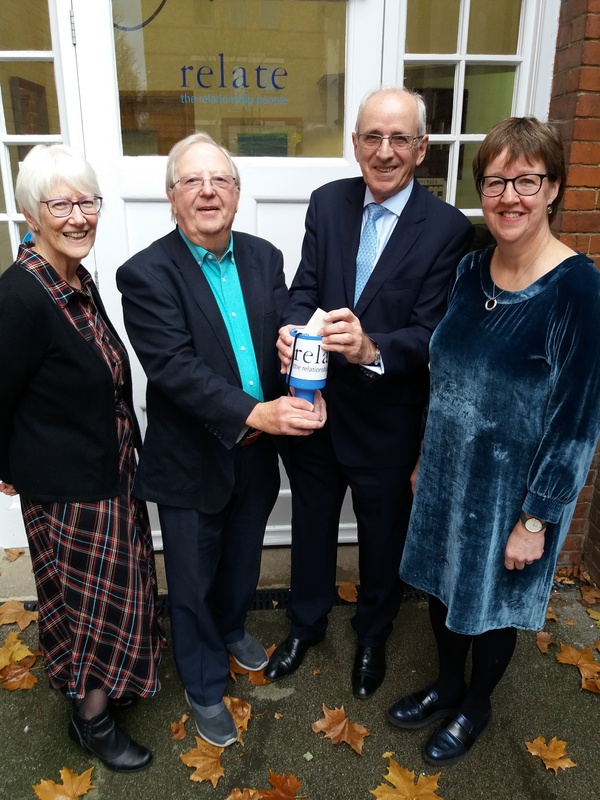 Comedy actor and broadcaster Tim Brooke-Taylor OBE, President of Relate MTB, thanked Trustee and Treasurer Ross Wilson when they met counsellors at Relate MTB’s annual meeting in Maidenhead on Monday (November 19th). Local charity Relate MTB opened a Windsor counselling room in October last year and the grant, awarded earlier in November, will enable the hours to be extended. Fiona Greenfield, Centre Director of Relate MTB, said: “We are very grateful to the Trustees of The Prince Philip Trust Fund, and its chair, His Royal Highness the Earl of Wessex, for awarding us a grant. We appreciate the huge number of applications they receive. “The need for relationship counselling in our communities is growing and we are committed to providing skilled help to local people, regardless of their ability to pay, through our Bursary Funding Scheme.